I believe it was Nelson Searcy who originally came up with the idea of growing your church through “Big Days.” A “Big Day” is an all out push toward a single Sunday in order to see a large increase in attendance on that day. He actually wrote an entire book around the idea called Ignite: How to Spark Immediate Growth in Your Church. 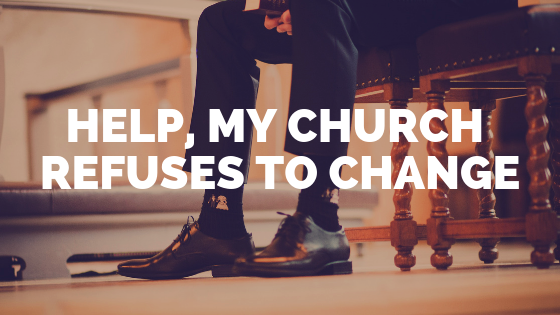 The idea is that if you can get a large number of people to your church on a single day and create a great experience for them, then there’s a very high likelihood that many of them will stick. 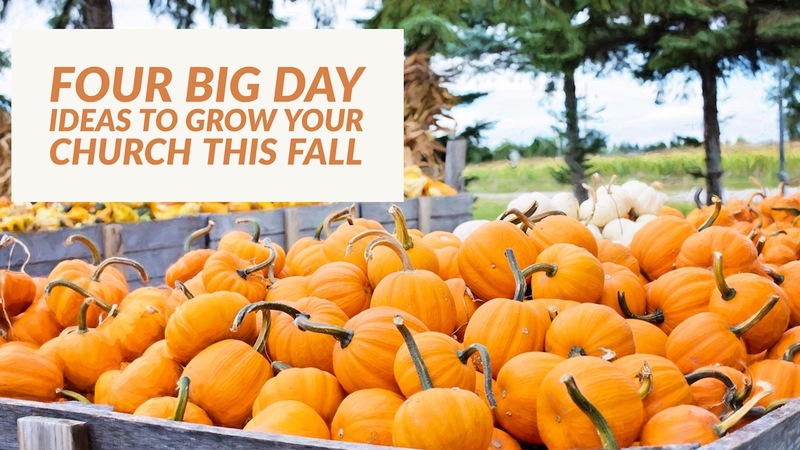 So, with that in mind I wanted to share with you a few “Big Day” ideas for this fall. If you live in the United States, you understand how much people love football. It doesn’t matter if it’s College Football or the NFL. Either will draw millions of viewers each week. The only thing Americans may love more than football is eating. So, what did they do? They decided to combine them into a single event called “Tailgating.” The premise of this idea is simple, you just ask your congregation to tailgate before and after your weekend services. They can bring their own grills, their own tents, and wear their favorite team’s colors. 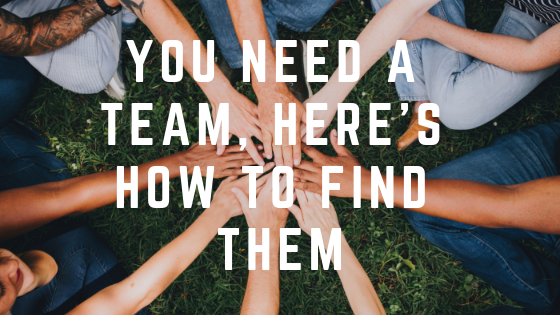 Don’t be afraid to ask your local high school or middle school sports teams to get involved as well. They are often looking for ways to fundraise and an event like this gives you the opportunity to connect with these families. It’s a win for both teams. What’s the most anticipated product this fall? Not the new iPhone. It’s the return of the Pumpkin Spice Latte at Starbucks. People go crazy for anything pumpkin around this time of year. I’ve heard families will actually pay good money to go out into a field and pick their own pumpkins during the month of October. I may have been guilty of doing it myself. So, why not create your own pumpkin patch at church and give away the pumpkins to kids? It may be a little late to start planting pumpkins, but that doesn’t mean you can’t find a farm to buy them from. For a few hundred dollars you can create a big day and make a lot of little kids very happy, not to mention the farmer you bought them from. The only thing kids may enjoy more during the fall than picking out their favorite pumpkin is petting their favorite farm animals. Most of the time, you can find someone who operates mobile petting zoos that will bring the animals to you for a few hundred dollars. But, if you don’t have access to one or your just looking to save some money, how about asking one of the local farmers in your community? You don’t need to have an entire zoo. A few goats, a couple of rabbits, and the Thanksgiving turkey would suffice. Trunk or Treat is the perfect event for the Sunday before Halloween. If you’re not familiar with Trunk or Treat, you basically ask people to decorate the trunks of their cars for Halloween and hand out candy. Lots of communities have them, but by tagging it on to your weekend service, you can see a lot of new families come to your church. If you’re worried about celebrating Halloween, you can post guidelines for what’s acceptable decorations or even theme your Trunk or Treat. For example, you could have a superheroes and princesses theme. Nothing scary about that. 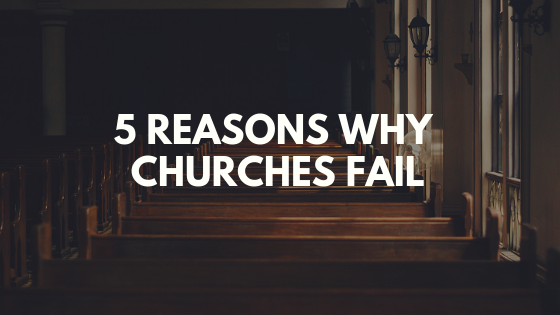 If marketed well, these four events will definitely get more people to your church. Just keep in mind, the experience the guest has while they are there will determine whether they ever come back again. So, before you do any of these events, you need to make sure your Sunday experience is a good one. If you need help in that area, don’t miss out on your chance to be a part of the first ever Small Town Big Church Coaching Network. It’s six months of coaching designed to help your small town church go big. 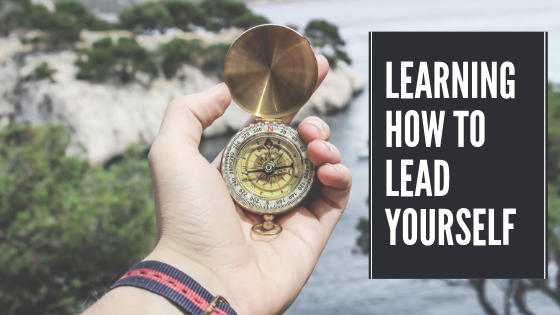 Find out more by going to my coaching and consulting page, and as always don’t forget to subscribe to this blog so you never miss tips on church growth, leadership, and more delivered to your inbox each week.